Recently, an important birthday slipped by largely unnoticed. So, in the fine tradition of outing the quiet ones to force recognition of their birthday, I’m bravely calling out my employer – .id. That’s right, .id recently notched up an important milestone – we turned 20! Don’t worry, internally the occasion was celebrated in fine style by the people of .id. but as in our usual no-fuss, anti-corporate style, we forgot to gloat to the world about this milestone (until now). 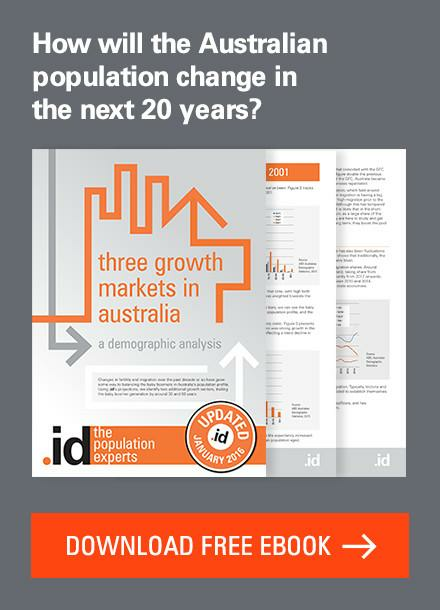 Inside .id, we are busy making the most of the latest 2016 Census information for our clients and to enhance our understanding of place but as someone employed to communicate ‘all things .id’, it would be remiss of me to let this momentous occasion slip by! The storytelling skills of this quirky bunch of population experts has obviously rubbed off on me, so I thought I’d share the story of this ‘place’ – the journey of a small demographic consulting startup that recently transitioned into early adulthood as ‘grown up’ enterprise. 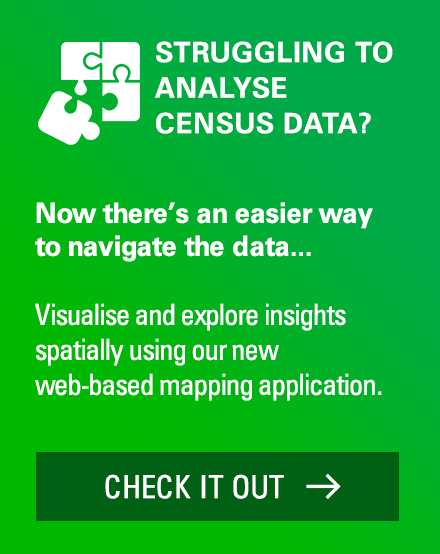 Looking back 20 years, the story starts with our founder, Ivan sharing an idea of how to make better use of a largely under-utilised resource – the Census. Realising the Census provides a mountain of evidence that can be used to make better decisions about society, .id’s journey began in Leicester Street in Fitzroy, Melbourne in 1997. We proudly turned 20 on the 1st September 2017, entering the family forming adult stage of life both as a collective work ‘family’ and with most .id-ers now forming families of their own. 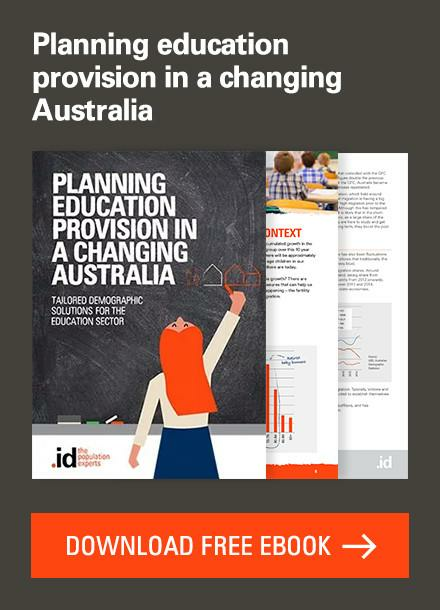 Aligning to current Australian trends, .id is in the midst of a baby boom – in the last decade, the team has grown substantially both at work and at home. .id is a unique mix of demographers, population forecasters, spatial analysts, urban planners, economists, Census experts, IT developers, database specialists, communication experts and storytellers. Being naturally curious about places, it was a logical step for .id to conduct its own Census to properly answer this question. The 2017 .id Census provided some great base data and revealed the following information about us and how we have changed over the years. The work family has grown steadily over the last twenty years, almost doubling in size every 5 years. The dataset for the .id Census was pretty small, so to protect the identities of individuals, we applied some perturbation and formed the data into a profile of the ‘typical .id-er’. As we know, averages can hide a multitude of diversity, so I’ll preface the profile with a comment about the diversity of the office. In addition to the variety of interesting characters and personalities, 43.8% of .id people were born overseas which is much higher than the Australian average. 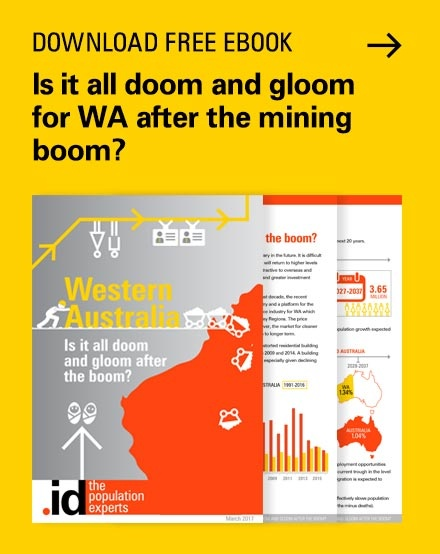 .id people come from all across the globe and right around Australia – even though most of us born in Australia are from Victoria, almost every state of the country is represented at .id (we are just missing a Tasmanian and a Territorian. 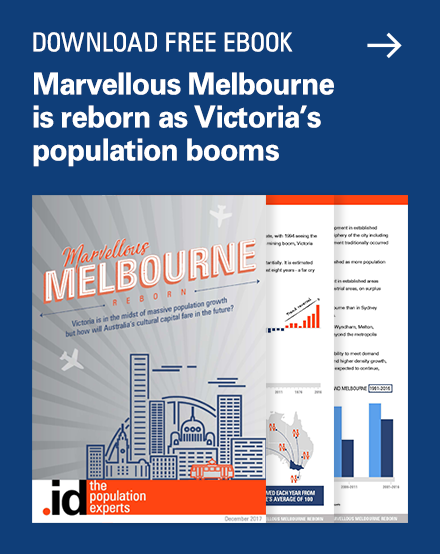 And most .id people only moved to Melbourne in the past 10 years. The typical .id-er is a 39 year old male, who lives in Northcote. He was born in Melbourne and has worked at .id since 2013, having completed a Bachelors degree in urban planning. He speaks only English at home. He has no religion, and despite all the footy chat in the office, does not follow an AFL team. At home, he lives with his spouse/partner and their child who is under 15. He has a mortgage on a separate dwelling. He does 1-5 hours of housework and doesn’t have any outside help. It takes him 32 minutes to drive to work. Geography: Located at 10 Easey Street, Collingwood, Melbourne, .id also has remote connections in Adelaide, Brisbane, Byron Bay and New Zealand. After outgrowing our initial digs, .id moved out of Ivan’s bedroom to a small sublet office in St Kilda that was not much bigger than a laundry and shared by 5 other businesses. With big dreams, the guys took a risk by expanding into the office next door, forking out an extra $50 a week in rent. As ‘the kids’ grew up, it was inevitable they would move out of home and share a larger dwelling. Around the turn of the century, .id moved back to its roots in Fitzroy and then a few years later shifted over to our current suburban home of Collingwood. The dwelling changes were driven largely by the need to accommodate our ever-growing, multi-family household of .id-ers. After a stint on Budd Street, we found a home in an old shoe factory in Easey Street in Collingwood. With steady growth in the family, .id’s most recent 2016 expansion involved knocking a hole in the wall to expand into the neighbouring premises next door. From our beginnings providing demographic research and analysis for local governments, .id’s consulting services led to the development a range of online tools to help make the process easier and share information more broadly with the community. 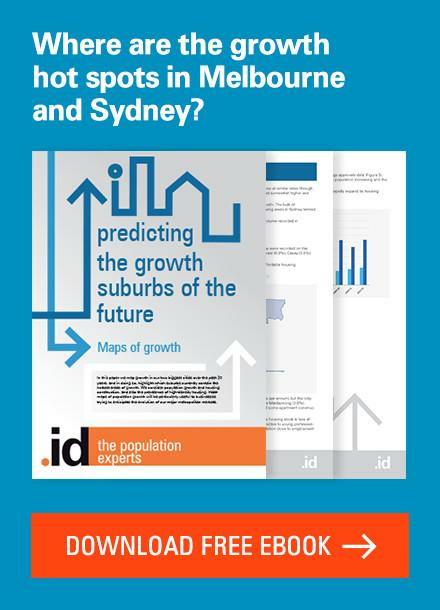 After thoroughly analysing the past population, .id developed a future view to predict the population using population forecasting. 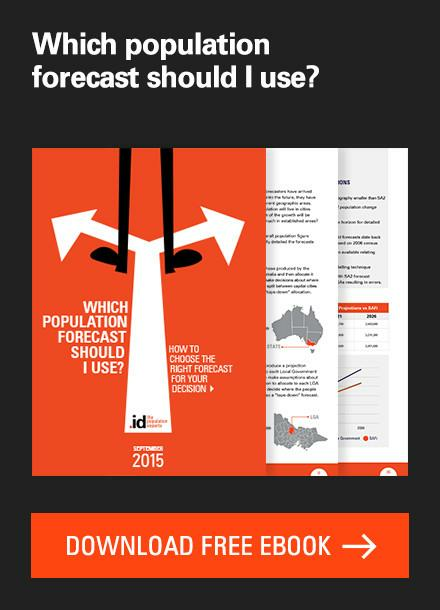 We now have the largest team of population forecasters in Australia and New Zealand. Looking beyond Local Government Area boundaries, .id soon expanded its sphere of influence into the private and not-for-profit sectors, to perform location analysis for custom geographies and develop new online tools to help a broader segment of society. As I spend a lot of time writing about this every day, so I’m going to link you to our website, twitter, facebook, LinkedIn and YouTube channel so you can read all about the work we do. .id is a quirky bunch of demographers, urban economists, spatial planners, population forecasters, and Census data experts who use their knowledge of place to provide consulting services and develop their own online tools which helps governments and organisations understand their local communities better. Buckminster Fuller, inventor of the geodesic dome – and one of the world’s worst cars. 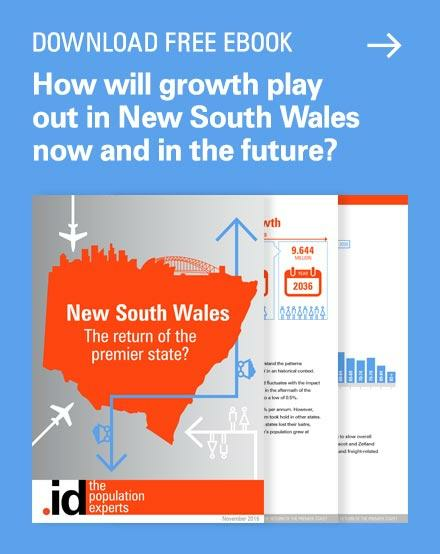 Previous story Regional cities – are they growing or slowing?